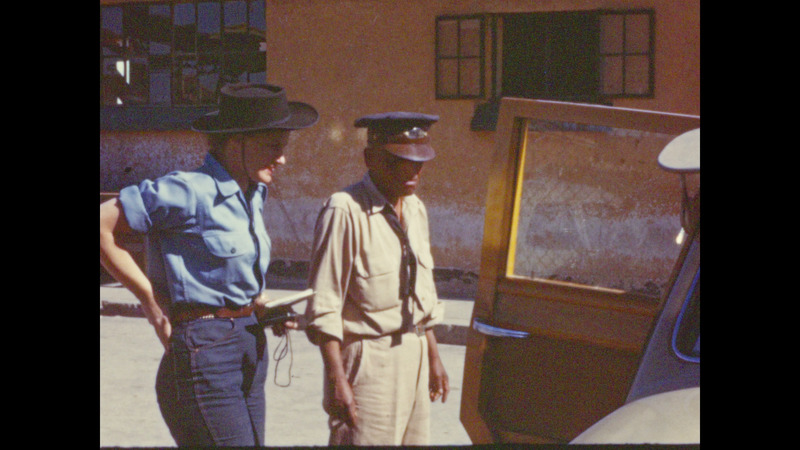 Description: 1950s: Woman speaks to customs official. Car drives down street with people walking in background. Map of northern Mexico.